Inspired by Leander athlete and 2016 boat race champion, Lance Tredell - this zephyr embodies the heritage and tradition of Leander club. 'I love wearing this zephyr - whenever I put it on, it reminds me of the great history of this amazing club.' said Lance. 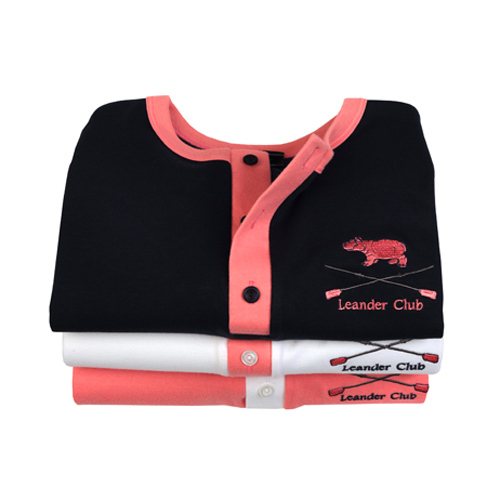 Along with stroking the Cambridge blue boat to victory at this year's boat race, Lance, as a Leander athlete, has also stroked the Ladies' Plate Viii to win at The Henley Regatta. 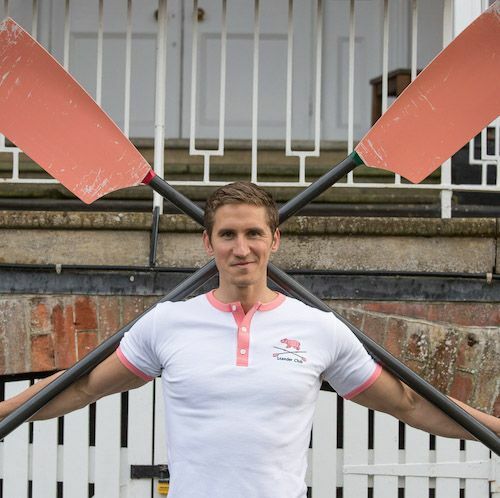 These retro rowing zephyrs (also called "Henleys"), are now available in 3 colours. Made exclusively for Leander by elite sportswear manufacture and technical kit specialists since 1978, Godfrey Sports Ltd, they have been flying off the shelves and become ever more popular as this retro style has come back into fashion. They are lovely soft 100% cotton with contrasting colour hoops around the middle. Ideal for on or off the river. 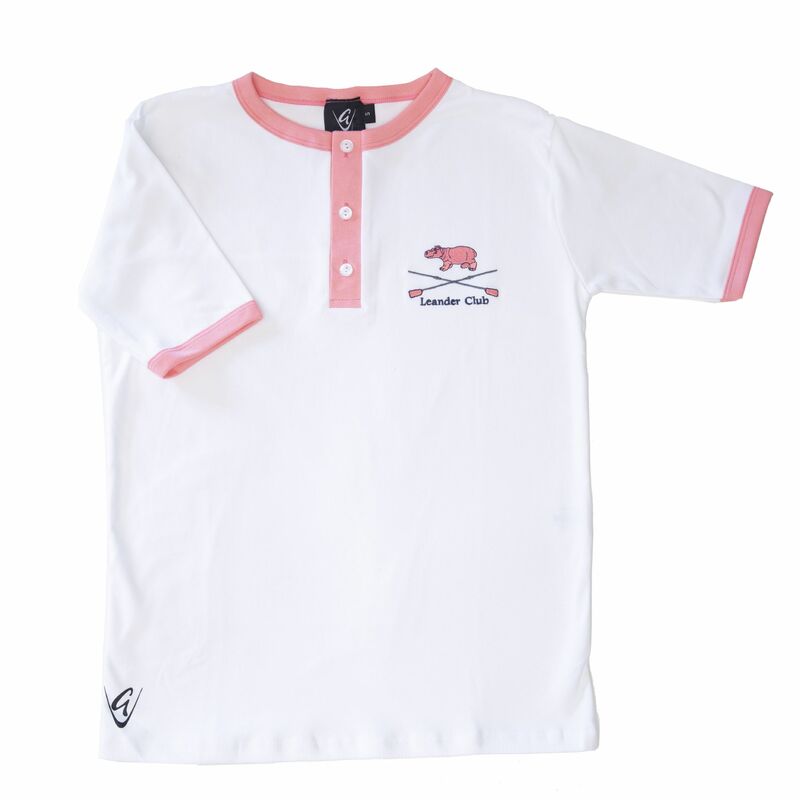 The pink hippo and oars logo is embroidered on the front chest. Please contact the shop if you do not see your size. They are great for training in the boat or just casual wear around the house. 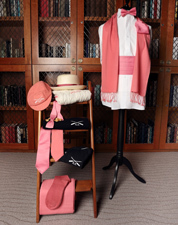 Zephyrs have been around for over a hundred years and have been the ‘go to’ traditional rowing garment. They are lightweight and give plenty of flexibility. 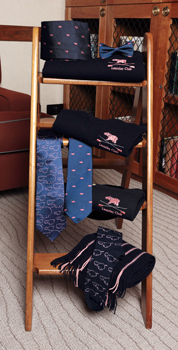 Rowers at Henley can still be seen wearing them.